Welcome to the Rope Services Direct FAQs (frequently asked questions) page. Whether this is your first time on our website and you’re new to the industry, or you’re a regular customer, here you’ll find everything you need to know about us and the products that we sell. If you have a question you would like to see answered on our Rope Services Direct FAQs page email us here. At Rope Services Direct Ltd we manufacture, stock and supply a wide range of wire ropes, webbing products, and common lifting devices such as lever hoists and chain blocks. We also manufacture web slings and supply fibre rope slings to your specifications. 2) What are wire ropes? Wire rope is comprised of small metal filaments which have been braided together to form inner wires, which are then twisted together to form larger wires, which are then twisted together again! This forms a sturdy, robust wire rope. There are several different ways that we can twist the wires together to give the wire rope different qualities such as non-rotating, low stretch or a higher breaking strength. 3) What is the difference between all of your wire ropes? As you can see from our wire rope page, we stock a range of different types of wire rope, which are: garage door cables, galvanised wire rope, crane rope, compacted rope, catenary wire rope, stainless steel wire rope, security cables, plastic coated rope, non-rotating rope, gym cables, wire rope slings, winch rope, trailer rope and theatre cables. Some of these types of wire rope will be self-explanatory in their names, such as gym cables which help operate the machines used in gyms. Each type of product has its own specific use, so please make sure to get in contact with us before purchasing so that we can best serve your needs. 4) What industries is wire rope useful in? Our stainless steel wire ropes are useful for a variety of industries and applications, including marine, engineering, mining, architectural, as well as in the home for things such as balcony barriers, decking or hanging shelves. Our standard steel wire ropes and fibre ropes are regularly used in the engineering and transport industries. 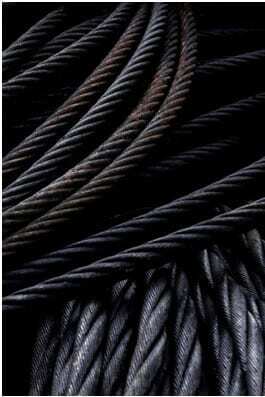 5) What is the core of your wire rope made of? The wire rope core will be either steel wire or fibre. 6) What do the numbers mean next to your wire rope? The numbers in front of our wire rope products correspond to the number of wires and strands in the rope. For instance, our 6×36 fibre core wire rope has 6 strands each with 36 wires. 7) Why should I use a wire rope and not a chain? The biggest benefit of using a wire rope over a chain is that if a few wires or strands break within the wire rope, it will most likely still be able to lift its load. However, if one link breaks in a chain then the whole chain becomes unusable. 8) What should I do if wires or strands break in my wire rope? Due to the way that wire ropes are manufactured, it is important that regular inspection is carried out; please get in contact with us if you would like a service. If, however, you have already noticed broken wires or strands, the rope will need to be destroyed. If one of the wires or strands breaks during a lift, the other wires within the rope should be sufficient to lower or raise the rest of the load, but please destroy the rope after this. 9) What is a wire rope fitting? A wire rope fitting is simply the end termination to your wire rope, and we stock rope grips, thimbles, turn buckles / rigging screws, shackles, eyebolts, terminals, sockets and hooks in galvanised steel and stainless steel options. Rope Services Direct sell some direct online – Prices listed on our website are for STAINLESS STEEL only; please call one of our sales team on 01384 78004 if you would like the prices for the galvanised steel options. 10) What are web slings? Web slings are designed to lift heavy loads and are flexible, lightweight and feature a wide bearing surface. 11) What is lifting gear? Lifting gear can be used to lift heavy loads, to push loads along or for securing lifting equipment together. Rope Services Direct Ltd stock manual chain blocks, lever hoists, vertical plate lifting clamps, push travel girder trollies, shackles, eyebolts, and chain slings. 12) Why should we choose Rope Services Direct Ltd for our lifting gear? We are a sister company to the established Lifting Gear Direct Ltd, and so are well placed to provide solutions to all of your lifting gear needs. We stock lifting gear equipment from top brand suppliers, and can customise, service, and repair all of your lifting gear at our on-site workshop. 13) Do you stock other kinds of slings or ropes? Yes – we also stock round slings, poly prop slings, disposable / one-way slings, wire rope slings, bespoke wire rope assemblies, gym cables, trailer ropes / tail lift cables, winch cables, lift ropes, and crane ropes. 14) What is a wire rope balustrade? A wire rope balustrade is a way of creating a protective barrier or cordoning off a section of space such as in stairways or for a balcony, using wire rope. We stock rigging screws, swage forks, swage studs, swage eyes, swage less studs, thread eyebolts, woodscrew eyebolts, cone head stops, medium eye plates & small eye plates, and shackles which can all used in various ways to create your balustrade. 15) What are the tools that you stock? We stock tools for those that regularly work with wire rope. You’ll find wire rope cutters that help to cut wire rope safely, crimping tools which are used to help compress wire rope into smaller shapes, and lubricant. 16) Why do I need to lubricate my wire rope? The reason that we sell lubricant, and the reason that you need to ensure that your wire rope remains lubricated, is to keep it in the best possible working condition at all times. The metal that your wire rope is constructed from will be rubbing against each other during a lifting operation, and may also be rubbing against an external surface too. This causes friction, which can damage the metal of the wire rope. Wire Rope lubricant helps to prevent this and to extend the life of your wire rope. 17) Where can I find more detailed technical specifications on your lifting gear? If you are looking for more detailed information on the technical specifications of our terminals, please read the tech specs here. 18) How will my wire rope perform in high temperatures? Steel is able to withstand incredibly high temperatures, with some stainless steels able to handle heat up to 1100 degrees C.
However, it is important to note that the performance and ductility of metals becomes more unpredictable when operating outside of normal temperature ranges. In other words, it may have a perfectly long and normal service life, or it may suffer damage much quicker. In Europe, a distinction is often made between normal steels, such as stainless steel, and heat-resisting steels. However, the BSSA recommends considering these steels as one range as the definitions are often blurred. For this reason, it is recommended to first speak with your manufacturer to check whether your wire rope will be suitable in high temperatures or not. 19) How will my wire rope perform in low temperatures? You can use wire rope, and other metal-based products, at low temperatures. 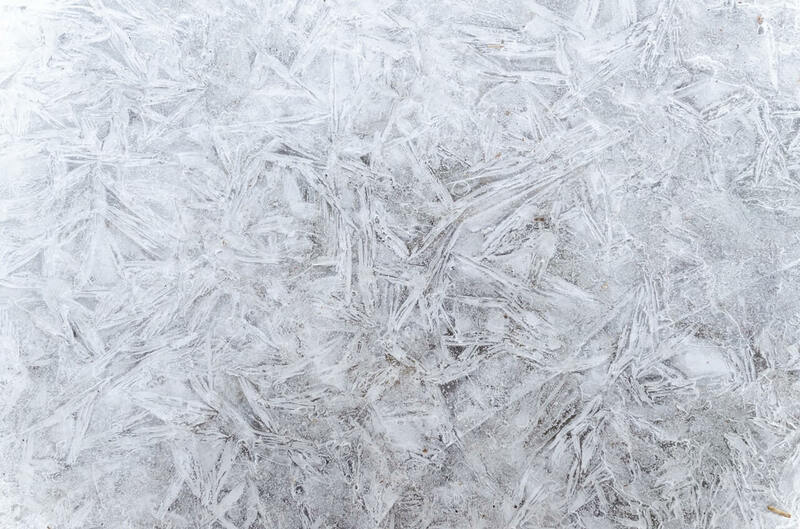 Some metals are even used in temperatures as low as -269 degrees C. However, metal becomes much more brittle when operating at temperatures below zero, and it doesn’t require a dramatic change in temperature for a dramatic change in safety. Even a slight change can cause a huge amount of change. When a metal is brittle, it remains hard but is much easier to break. That being said, it is used in some operations where very low temperatures are present. It is recommended to speak to your manufacturer first before engaging in any operation. 20) What are common applications and uses for wire rope? For a full list of applications, please read our extensive guide found here. 21) Are there any laws that I need to be aware of? Yes, lifting equipment is subject to an array of guidelines and laws, although this will vary depending on the piece that you are using. However, all equipment, regardless of what piece you are using, will fall under the Lifting Operations and Lifting Equipment Regulations 1998 (LOLER). This is only a guideline, but falls under the Health and Safety at Work Act 1974, which makes it a law. Each piece of equipment may have specific laws relating to it. For example, cargo and ratchet straps used for transportation purposes will be subject to load securing guidelines. It is recommended to check with your manufacturer about any rules or regulations that relate to your lifting equipment. 22) How long will my order take to arrive? We will use outside courier services to deliver your package, and will aim to get your order to you by the next working day if the order is placed before 2 PM, although we can’t guarantee this. This will also be subject to stock availability. 23) Can I buy from you as an individual? Absolutely! Rope Services Direct manufacture, stock and supply to wholesalers, distributors, companies, and individuals. As we have our own state-of-the-art facilities located on-site, we can deliver one-off products or larger batches. 24) Do you offer any discounts? 25) What is your returns policy? We do accept the returns of items, and this must be completed within 30 days of original purchase. Please note that all returns may be subject to a 15% handling charge. Any items which have been designed to your specifications, or any items that have been altered, i.e. cut wire rope, will not be eligible for return. 26) Where are you located? 27) Where can I read more about wire rope? Alongside our regularly updated Rope Services Direct FAQs page we have an extensive news and blog section, one that we contribute articles to regularly every month. These articles will contain tips about lifting equipment insights on the industry, and the latest news from us at Rope Services Direct. Please be sure to check back on our blog each month! Do you still have more questions for Rope Services Direct? 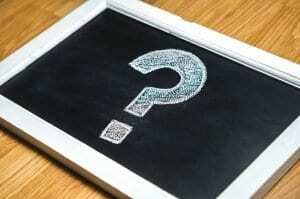 We hope that the questions on our Rope services direct FAQs page have provided you with all of the answers that you need, but if you still have more questions, please don’t hesitate to get in touch with us. You can either give us a call on 01384 78004, or find our other details here. 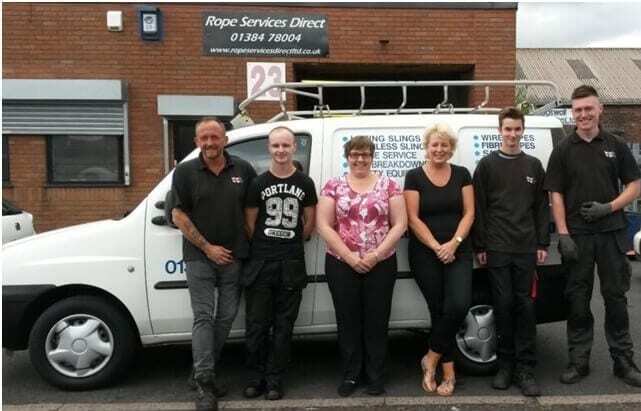 Rope Services Direct Ltd - FAQs Overall rating: 5 out of 5 based on 6 reviews.